In this topic series on media skills for scholars, we have focused on using digital media to communicate your research and measure your online impact. But what about researching digital media itself? 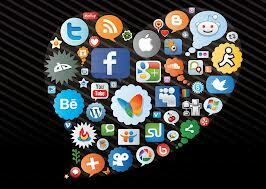 Digital scholarship has quickly become a major area of study in the social sciences. Studying such an interactive, dynamic and ever-changing field can be challenging, but fortunately for researchers, there is often a record. 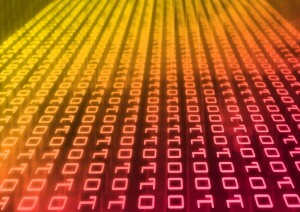 As with most social science research, digital research usually falls into either the quantitative or qualitative camp. Endless debates have pitted the two approaches against each other but, as with the great peanut butter – chocolate debate, they can go great together! Ethnographic content analysis is a hybrid methodology that draws from both of these approaches and is very adaptable to the digital field. Ethnographic content analysis, or ECA for short, was developed by media scholar David Altheide in the late 1980s to study television news coverage of the Iran hostage crisis from 1979-1981. He argued that while conventional quantitative-focused content analysis is useful for revealing patterns and big-picture information, it leaves out room for more the nuanced interpretations that qualitative methods elicit. Typically, content analysis is a linear, step-wise projection from data collection to analysis to interpretation, while an ethnographic approach is reflexive and circular. Aiming to meet in the middle, ECA is “systematic and analytic, but not rigid” (Altheide 1987). As with conventional content analysis, information is organized by categories and sub-categories, but with an ethnographic approach, other categories are “allowed and expected to emerge throughout the study.” As any qualitative researcher will tell you, the most interesting findings are often the unexpected ones. For example, in reviewing TV news coverage, Altheide noticed that while the hostages’ families were a part of the story from the beginning, they became more prominent over time. This had to do, in part, with media access. Families were often willing to be extensively interviewed on camera, and a group of families formed a quasi-organization with articulate spokespeople. Had he not been analyzing data qualitatively as well as quantitatively, he likely would have missed these contextual factors that shaped and influenced TV coverage, or there may not have been a place for this interpretation to “fit” in a conventional content analysis. 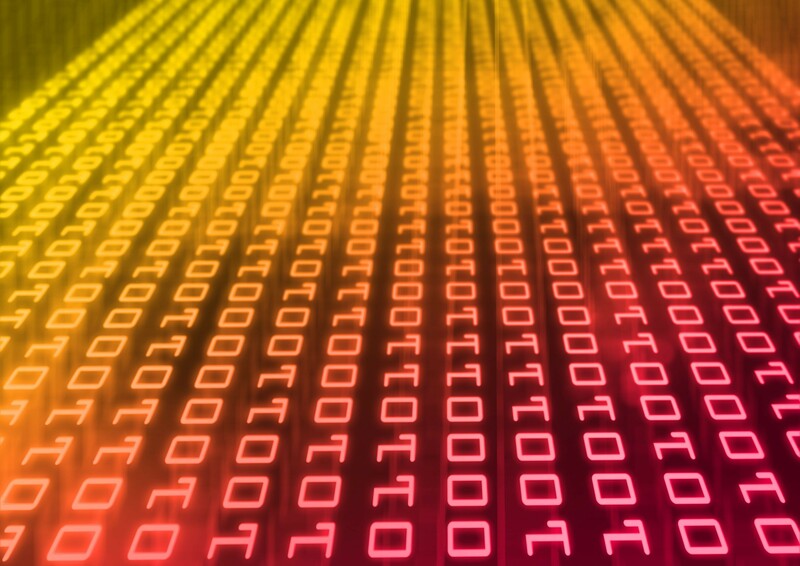 The digital field offers so much data, both quantitative and qualitative, and ECA is a highly effective approach for handling both of these. 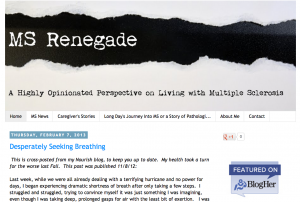 For example, I studied personal blogs written by women with Multiple Sclerosis. Gathering quantitative data, such as the number, frequency and length of posts; images and multimedia; and examining blog architecture demonstrated patterns of activity, topical themes, and design choices, and gave me an overall sense of my sample. I then selected a subset of posts to analyze in more depth, paying closer attention to not just what bloggers wrote about but how they wrote about: Was their blog more information-focused or personal? What was the “tone” of their writing (humorous? serious? what did they complain about?)? Did they write about everyday life or significant events? Looking at the focus of their blogs revealed that the bloggers saw themselves as having different “roles.” For example, some considered themselves as translators of complex medical information for a general audience. They felt a responsibility to make sure the information was reliable and were diligent about citing sources and providing links. Looking at the tone of their writing (the how), and not just the content (the what) demonstrated that there were different narratives, some that conformed to social expectations about how a personal with serious illness should act (i.e. putting on a sunny face) and some that challenged these expectations and took an activist stance. I also reexamined and interpreted images and graphics. Some bloggers posted pictures of themselves, their families, and their pets, and provided ways to contact them, while others were not as forthcoming in these ways, indicating varying levels of comfort with a public identity. The ECA I conducted was the first phase of a three-part mixed method study, which also included a survey and online discussion forum. The information I gathered helped me craft the subsequent survey and discussion questions and guide the rest of the study. The results served as a foundation to which I returned again and again during data analysis. As I found, ECA is a well-rounded and adaptable research method for the digital field, which can be used both on its own and in tandem with other methods. Peanut Butter – Chocolate; Chocolate – Peanut Butter. Either way, they work well together. This post was written by Collette Sosnowy (@SOsnowyNYC). 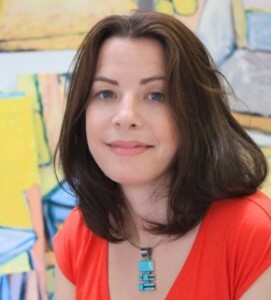 She has a Ph.D. in psychology from the CUNY Graduate Center and is the Project Manger for JustPublics@365. She likes both chocolate AND peanut butter. This entry was posted in Topic Series and tagged ethnographic content analysis, research on July 22, 2014 by Collette Sosnowy. 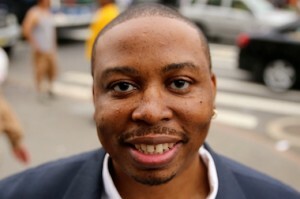 Activist East Harlem Topic Series Now Available as an eBook! This eBook, the fourth in our series, deepens and expands the work of a community meeting at the CUNY School of Public Health on April 26, 2014. This meeting brought together volunteers, city officials, and faculty and staff from CUNY to discuss emergency response following a tragic gas explosion nearby that had killed 8 people the previous month. Participants met in groups to discuss the event, make recommendations for better emergency response in the future, and strengthen community partnerships. Afterwards, several people sat down with us to talk about their experience, which we produced as a series of podcasts. The active participation in the meeting was characteristic of the strong, invested community of East Harlem, also known as El Barrio. We drew inspiration from this event and highlighted other important activist work and pressing issues impacting the community, especially affordable housing and gentrification, and drug policy reform. In addition to the conversations with local volunteers, our series included interviews with a local journalist and two scholar-activists; featured the work of local filmmakers; highlighted a two-day forum on drug policy reform held at the New York Academy of Medicine; and discussed current events and policies impacting the neighborhood. This series portrays only a small portion of the dynamic activist work being done by local residents. To do justice to this rich community would take far longer. Luckily, this work is represented by the many community groups that are active in East Harlem and in everyday life in the neighborhood. We encourage you to start here and do more exploring on your own, both virtually and in person. Take a walk around the neighborhood and meet some of the amazing people who call it El Barrio. Click here to use and share this resource! This entry was posted in East Harlem, eBook, Topic Series and tagged activism, East Harlem, explosion, gentrification on June 18, 2014 by Collette Sosnowy. Listening to peoples’ stories is a powerful way to understand how inequality affects people in their everyday lives. For example, gentrification in a low income neighborhood like East Harlem impacts a person’s ability to find affordable housing, education policies such as opening charter schools affect young people at local public schools, and lack of digital access limits economic opportunities. In this topic series on East Harlem, we have explored a number of social issues impacting the neighborhood and have featured the voices of local residents, activists, journalists and scholars. Beginning with the aftermath of the tragic gas explosion in March, we highlighted the community conversation held at the CUNY School of Public Health that brought together volunteer first responders, city officials, activists, and researchers to talk about emergency response and plan for better preparedness in the future. The disaster, and the stories we gathered from participants at the event, highlighted a community that is unique and tightly-knit. However, this cohesiveness is threatened by changes brought on by disinvestment giving way to gentrification. East Harlem (aka El Barrio) is a primarily low-income, Latino neighborhood and has one of the highest concentrations of public housing in the city, yet its landscape is rapidly changing as higher-end chain stores open on 125th Street and luxury condos crowd out affordable housing. Gathering the perspectives of people who are directly affected, rather than interpret a situation for them, is vital to understanding these issues. East Harlem resident, activist, and filmmaker Andrew Padilla emphasizes this point in an article he wrote about a Fox News journalist who contacted him. 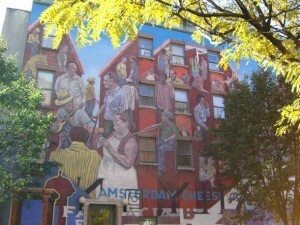 The reporter, Soni Sangha, seemed determined to frame the story of gentrification in Latino neighborhoods like East Harlem as being “taken back” by wealthier Latinos returning to the area, implying that this form of “gente-fication” benefited the community rather than displaced residents. Padilla countered that perspective, sharing his experience interviewing people in the community and offered a more contextual explanation. Ultimately however, the article didn’t include the perspectives of East Harlem residents, which was a disservice to the community and readers alike. We highlighted two documentaries, “Whose Barrio?” by Ed Morales and Laura Rivera, and “El Barrio Tours: Gentrification in East Harlem” by Andrew Padilla, which explore the significant impact of gentrification on the neighborhood. We also profiled a number of scholars-activist and journalists working in the area, calling attention to these concerns, and working to address disparities. Jeff Mays is a journalist who covers the neighborhood and spoke with us about how people have been impacted by the explosion. Even now, three months later, several of the nearly 100 families displaced by the disaster remain homeless and are having difficulty finding affordable housing in their community. Businesses are slowly recovering, but suffered great losses. CUNY School of Public Health Professor Lynn Roberts addresses the intersection of race, class and gender and its influence on health disparities and models of community organizing for social justice. Educator-scholar-activist Edwin Mayorga recently worked with two young people from East Harlem to explore public education in the neighborhood and connected with community members using digital media to tell their stories. And finally, we co-sponsored a symposium on drug policy reform, held at the New York Academy of Medicine. Many of the speakers focused on the intersections of race, poverty, and incarceration. Punitive drug laws and high rates of incarceration disproportionately impact low income, minority neighborhoods like East Harlem. CUNY Professor Harry Levine’s research reveals racial patterns in Marijuana arrests. As we wrote earlier, the data tell a story that whites use marijuana at higher rates, yet blacks and Latinos in neighborhoods like East Harlem are arrested for marijuana at much higher rates. This collection of East Harlem stories exemplifies JustPublics@365’s approach to bring together scholars, activists and journalists to highlight social justice issues. By bringing together a diverse range of people with ties to East Harlem, we have offered a few of the many voices working to make the neighborhood a more just place for all its residents. This entry was posted in East Harlem, Gentrification, Topic Series and tagged East Harlem, explosion, Topic Series on June 2, 2014 by Collette Sosnowy. 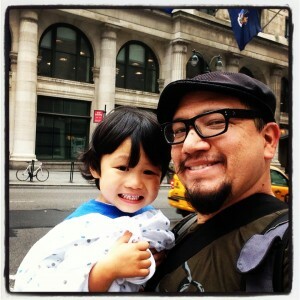 Edwin Mayorga describes himself as an educator-scholar-activist of color, as well as a parent, organizer, and doctoral candidate in Urban Education at the Graduate Center of the City University of New York. His recent work facilitating a digital participatory action research project explored how NYC education policies during the Bloomberg administration (2001-2013) have impacted “Latino core” communities like East Harlem. He and two youth co-researchers, Mariely Mena and Honory Peña, both East Harlem residents, designed and conducted the project, which they called Education in our Barrios. 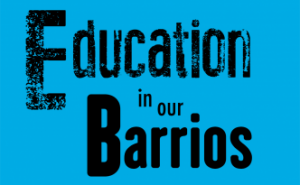 The goal of the project was to gather the perspectives of parents, youth, community leaders, activists, educators, and educational leaders who have been connected to public education in East Halem/El Barrio. The team recorded video interviews, digitally recorded stories (using vojo.co), collected archival materials, census data, and policy documents. This data informed their critical analysis of educational and related social policies to document how several generations of people see and experience public education reform in East Harlem. While the researchers wanted to use digital technologies as a way to connect to the community, the challenges they posed highlighted how the landscape of digital access, which is among other structural inequalities, impacts residents at both the individual level and larger social and economic level. One simple, yet significant obstacle to adopting digital networked technologies is access and affordability. In recent years, New York has become a more digital city, but for whom? City parks have become increasingly wi-fi accessible, but as Edwin pointed out, most of the park land in East Harlem is on Randall’s Island, which is both less accessible and becoming increasingly privatized. Free wi-fi spots in East Harlem and many other low-income residential neighborhoods, are few, as this map from the NYC Parks department illustrates. In an area like East Harlem, many may not be able to afford in-home broadband access, making free, publicly-available networks that much more important. In the neighborhood, the public library and McDonald’s are the primary spaces that have it. Despite being a vital community resource, the library suffers from disrepair and, like all NYC public libraries, decreased funding which cause them to shorten hours and limit services. A recent article on NY City Lens, an online news site, compared the recently renovated Washington Heights library and the Aguilar Library, which is located in East Harlem. The article highlights the great demand for access to library computers and the frustrations users experience from long waits, time limits, and slow access. Mayor Bill de Blasio called attention to the problem of uneven access as an issue of equality, social justice and economic mobility during his campaign and has said that the issue is a top priority for his administration. He has said that he will use the city’s regulatory, purchasing and franchising powers to pressure Verizon and other providers to increase access and lower costs to consumers. In the meantime, the New York City Housing Authority has two vans equipped with eight computers and a printer, as well as high-speed wireless access that travel to parts of the city where connectivity is low. Hopefully, this innovative project, and other efforts to increase access and create a public network, will begin to balance out this inequality. 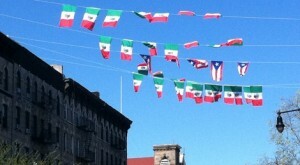 This entry was posted in East Harlem, Knowledge Streams, Publics, Topic Series and tagged digital access, East Harlem, public engagement on May 30, 2014 by Collette Sosnowy. 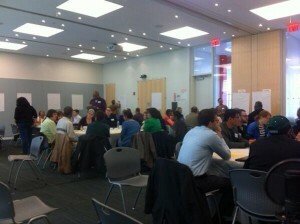 How Should a Community Use Digital Media to Plan for Emergency Response? 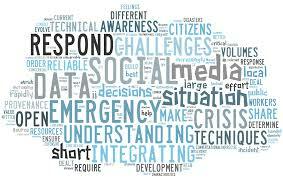 With the widespread use of social media, people often learn about emergencies via Twitter faster than they do on breaking television news or from official government news sources. In fact, these traditional news sources often get their information from social media and follow up to verify and report information. Obviously, the advantage of sharing information via social media is that the faster people have information, the faster they can respond. However, a disparate media landscape means that misinformation can also spread quickly, or that different sources may report different information, contributing to confusion. This was the experience for some in the wake of the gas explosion in East Harlem. While emergency responders and established organizations like the Red Cross adhered to their procedures, other groups like the Certified Emergency Response Team weren’t clear about their roles or where the most reliable information should come from. Participants in the April 26th community conversation held at the CUNY School of Public Health, these volunteers among them, emphasized the need for reliable, central communication channels during an emergency. One interesting approach recently put into place in New Orleans makes use of personal health data to identify people with special needs and tailor responses to them. The New York Times recently reported on a pilot program that used Medicare data to target vulnerable individuals who may need extra help, such as people using breathing equipment. Officials from the program visited people in their homes to gauge the accuracy of the information they were able to gather from records and to get people’s reactions. While this program focused on visiting people in person, elsewhere, other digital and social media are being used to augment health care, such as text messages that alert parents that their children need to get vaccinations. But making use of personal health records raises privacy about using “big data” to reveal information people many not want shared. The pilot program conducted in New Orleans adhered to privacy guidelines and, as the article described, most people who were approached welcomed the help. However, the widespread use of digital media and the kind and amount of data we share, inadvertently or otherwise, has shaken up our ideas and expectations about privacy. The Health Information Portability and Accountability Act, more commonly referred to as HIPPA, and procedures of informed consent (i.e. all of those long forms you fill out at the doctor’s office) were designed to protect people’s personal health information from anyone other than themselves, their medical providers, and others with special permission, such as a family member. But those laws were drafted before digital media became so integrated in our everyday lives and before we thought about the potentials and pitfalls of vast stores of data. 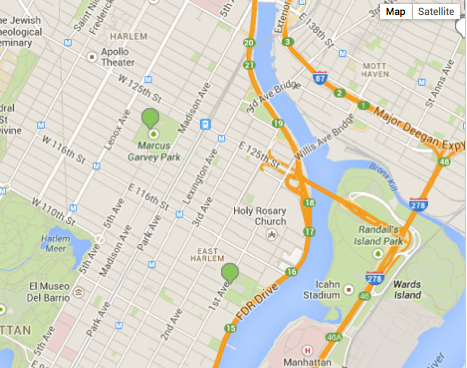 Could (or should) a program like the one in New Orleans work in East Harlem? How could it reach the whole community, especially those with special needs? Are there other models to follow? How could people’s privacy be protected? 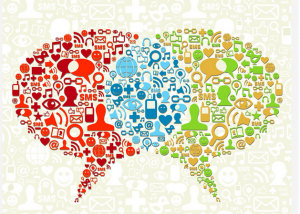 How could clear communication channels be designed given the many outlets for information? This entry was posted in East Harlem, Topic Series and tagged big data, communication, East Harlem on May 20, 2014 by Collette Sosnowy. In the wake of any disaster, emergency response typically includes the American Red Cross, whose recognizable logo signifies a first stop for help. Volunteers respond quickly to set up communication centers, coordinate medical attention, arrange shelter for displaced people, provide food, and offer general support. This wide range of services requires tremendous coordination, which is particularly remarkable for an organization that is primarily staffed by volunteers. 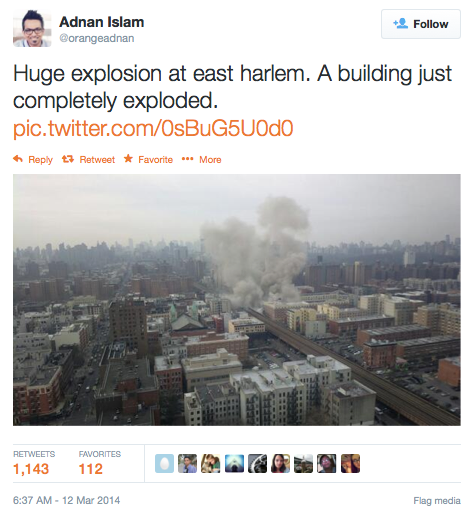 The explosion in East Harlem was no different. Red Cross volunteers went to work immediately and their work continued for a month afterward. The Red Cross Emergency Operations Center was in operation and fully staffed 24/7 from the time of the collapse on March 12 through Sunday, March 23. More than 338 adults and children were comforted and assisted by Red Cross caseworkers at NYC resident service centers. More than 200 volunteers from across the Greater NY Region responded to the call to help those affected. Over 20,000 meals, snacks and beverages were served to residents and first responders. Between March 12 and March 14, more than 70 residents overnighted at the Red Cross operated shelter at the Salvation Army facility (for a total of 121 shelter stays; i.e., some of those 70 residents stayed more than one night). Dozens of children received solace and safe haven at the Red Cross shelter, with a little extra help from the Good Dog Foundation therapy dogs in conjunction with the ASPCA. Nearly 500 blankets and personal hygiene comfort kits containing soap, toothbrushes, face clothes, toothpaste, deodorant and additional items were distributed. Red Cross Client Assistance staff connected with over 20 families in need of mental health and/or physical health support. My name is Mary O’Shaunassey, I am a Response Manager for the American Red Cross of Greater New York. On the day of the explosion on Park Avenue, I was actually at work at my day job as a technology manager for a legal services organization that helps low income women. As part of response management at the Red Cross, I receive four-hour reports on general activities. Regular fires, evacuations of unsafe apartments, and other small disasters. I received special messages from the Office of Emergency Management and the Red Cross management regarding this explosion. As soon as I could leave work at 5:30 or so, I headed to the Red Cross where we have an emergency operations center. This is an office that is staffed only during major disasters. There are 24 seats and each seat is occupied by a person with a very specific responsibility: for obtaining large quantities of food, for arranging the setup of a shelter, for arranging for licensed mental health professionals and physical health professionals to arrive at a scene, and so on. My job as operations management was to make sure that each of those seats were filled or that each phone at each seat was being answered. So it boils down to there are 24 phones, if it rings, answer it, respond appropriately, make the right decision. A lot of people don’t understand that the Red Cross is not a government agency. We are 90% of us volunteers. The volunteers that were available were people who are retired, self-employed, or unemployed. That can really limit our ability to respond to people who are linguistically isolated. Our volunteers speak what they speak, they’re available when they’re available. We happen to be lucky that a couple of our people were native Spanish speakers. It is possible that at a fire you can have people that are so linguistically isolated that no one can help them. We have facilities for that, but it takes some time to set up. When I arrived at the emergency response center, I found it in full swing. People were already at the blast site. They were already working on a reception center. Until we have the capability, that is, a released building from the Board of Education, a custodian, and shelter staff, we have reception centers. And that’s where clients — and I have to define the word client here — we never call people victims because part of the Red Cross role is to encourage people in recovery and calling people victims does not encourage that. We have clients, and we have survivors. Clients, survivors, and family members were already at the site looking for information. The definition of a disaster is that it is unplanned, therefore information is always partial, immediate, and changeable. It’s very difficult to set and manage expectations. 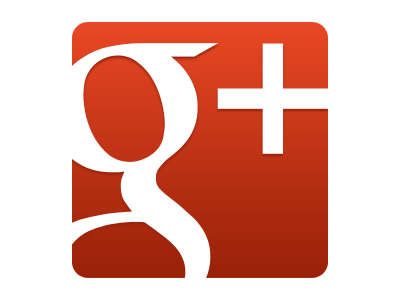 We are also committed, individually, corporately, and internationally to client confidentiality. It is very common for family members to call, and we were getting these calls, and people saying “my sister-in-law was there, my nephew was there, my cousin was there.” We cannot release that information. We did not have the information about the deceased but even if we had it, we cannot. We cannot give information about who is registered at a reception center, or a shelter. What would happen if a man were to come and say my “wife is there, I need to get to my wife” and we released that information and that woman had an order of protection against an abusive spouse. That’s something that we always have to protect people against. We cannot make assumptions about what people are telling us. Most people are honest. Most people want to help. We have to be realistic, as well as optimistic in our view of human nature. So we were getting calls from volunteers, we were getting calls from partner agencies, we were getting requests for food. We try to purchase food from local vendors. We try to purchase all our supplies from local vendors. Surviving vendors may have decreased foot traffic. They may have decreased customer assistance because their customers have been displaced. By the Red Cross spending money in these local businesses, we’re keeping these small businesses in business. We’re keeping their employees able to contribute to the community and therefore the function of the society is continuing to go. Very often we get complaints from people who say “I didn’t want my money to do go overhead.” Overhead is very interesting. If you think about wanting a report about where money goes, you would say “yes I want a report.” A report needs a database, a list of expenses, and a list of donations. That computer needs electricity. The person who is putting that information in needs an office with electricity, running water, and maybe heat or air conditioning. The software needs to be purchased. That’s overhead. So it’s very interesting to try to explain what overhead means in terms of how people get their wishes in terms of donations. We have overhead and we are not ashamed of that. We are very careful about donor dollars. In order for a Red Cross responder to go out by themselves, that is, to respond to a fire or a vacate, they have extensive training and extensive practice, and they undergo a background check. When I walk out to a fire, I can have as many as 30 debit cards, with a maximum value in the field of $1,000. If I’m handing someone, as a manager, $30,000 nominally in debit cards, I want to know who they are. That is why what we call spontaneous volunteers get asked to do really basic things: hand out water, hand out food. Trained responders go into people’s homes. We go into homes to evaluate damage, to determine how much cash assistance to give, whether to give hotel rooms. I would not want someone in my home that had not undergone a background check. So these are the things that go into being a Red Cross responder. And it all gets really ramped up in the event of a large disaster. As you gain experience, it’s also important to know how to step back. I’ve been a volunteer for 7 years, I’m very experienced, and now I’m in management. I have to step back and allow other people to learn how to do this. That can be hard because they’re training and by definition, trainees make mistakes. Sometimes, in an event like this, a simple mistake can get very high profile very quickly, and it’s very difficult to manage. We never send trainees out alone, but in a fast-moving, crowded event, they make decisions. Sometimes they’re very good decisions and sometimes they could have been better. And we work on that in what we call hotflashes. After an event, and in some cases after every 24 to 48 hour period, we sit down together and figure out what went wrong, what went right, and how to keep doing what was right, and how to correct what was wrong. It’s a continuous process. I love volunteering for the Red Cross. I like going out, I like adulation, I like people saying “oh you do wonderful things.” It’s an ego charge, and I’ll take that. Fires, disasters are an adrenaline charge, but you also have to balance that against the needs of the organization and the needs of the community. Those needs will go on long after I am able to respond to disasters. This entry was posted in East Harlem, Podcast and tagged East Harlem, explosion, public health, Red Cross on May 16, 2014 by Collette Sosnowy. 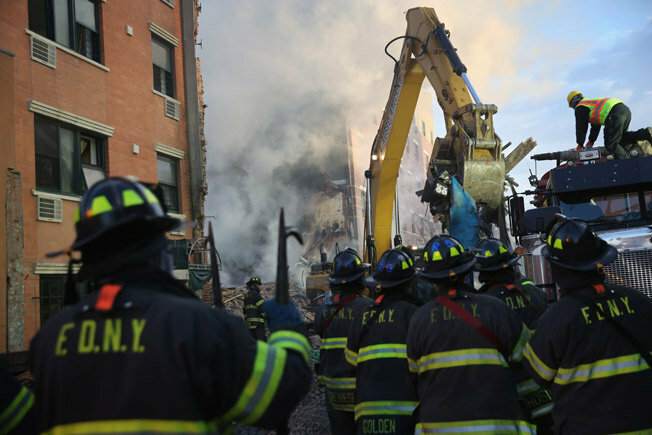 Numerous volunteer groups joined in the recovery efforts following the deadly gas explosion in East Harlem, and while the community’s most important needs were met, there was some confusion and disruptions in communication in the aftermath. This was part of what inspired the CUNY School of Public Health and several co-sponsors to organize a community conversation on April 26 to reassess community response efforts and discuss ways to improve emergency preparedness. Several local members of the Office of Emergency Management’s volunteer Certified Emergency Response Team (CERT) were there. CERT members are trained to assist with fire safety, medical aid, and search and rescue, among other support tasks. Most of the time, they serve as community educators about emergency preparedness. The explosion in East Harlem was the first time some of them had dealt with a major emergency. They encountered challenges with knowing their role and communicating with other organizations, and a consensus from the community conversation was the need for clear, reliable communication channels so that all responders know where to go for information. East Harlem resident and CERT member Sam Goudif shared his experience following the explosion, and highlighted how a lack of clear communication made things more difficult, but also demonstrated the desire to help that is the motivation for these volunteers. My name is Sam Goudif, I’m a CERT member for the last two years. And during the disaster with the gas explosion, I was in Harlem. I was at home watching the news. Naturally, that was the main focus of the news and I knew right away that I would be mobilized. I got the call from the chief and was mobilized to go to 118th Street. Trafficking and crowd control were the main components of what we did. It was about 3 or 4 blocks away from the incident. We wore our masks, which were inadequate, but we had something. We had to double up on them, as a matter of fact. It was interesting that people responded quite well with us. We didn’t have the issues of struggling or fighting with anyone. As a matter of fact, people were helping out in a number of ways. It wasn’t an issue with the crowd. The issue came about as the chain of command. What we were supposed to do in terms of where we were located. Who comes and goes, who was allowed and wasn’t allowed. I was in the first responders. They were very visible, very active. We all tried to coordinate the best we could, the best we had. It was a very challenging moment for us, and a learning process for us. This is the biggest incident I’ve ever gotten involved in. We had a discussion, we went over a lot of things [referring to the community conversation]. The main thing we discussed was equipment and being safe. That’s the number one issue. If you aren’t safe, you can’t make anybody else safe. If you don’t have communication you’re really left out there in the field. So you need better communication than we did. Where were able to communicate, we were able to go over things, was at Hunter College, Zero One ground for us…to have community come together and actually support whatever needs were needed at the time, in terms of people coming in asking questions: where to go, where to get help. Facilitate them in the best way we knew how. And we did that. And that’s something else we learned about. Red Cross, we coordinated with them. With the other organizations we had to find a place where we can do the best job we can do. This entry was posted in Activism, East Harlem, Podcast and tagged community conversation, East Harlem, podcast, public health on May 15, 2014 by Collette Sosnowy. With churches large and small throughout the neighborhood, religious faith is a hallmark of the East Harlem community. It was only natural that ministers, pastors, and chaplains were prevalent in the aftermath of the March 12 gas explosion, and that pews were full the following Sunday. Faith leaders were also present at a community conversation held at the CUNY School of Public Health on April 26, which brought together residents and community groups to discuss what happened following the explosion and how to better prepare for future emergencies. This entry was posted in East Harlem, Podcast, Topic Series and tagged East Harlem, explosion on May 13, 2014 by Collette Sosnowy. 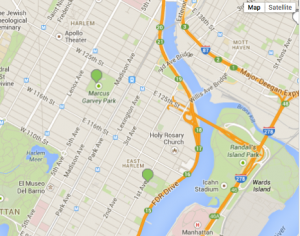 What does de Blasio’s Affordable Housing Plan mean for East Harlem? On Monday, NYC mayor Bill de Blasio released his ambitious 10-year, $41 billion affordable housing plan, which proposes creating 80,000 new units of affordable housing and preserving 120,000 more city-wide. It emphasizes greater urban density, building up, and implementing some requirements (as opposed to current incentives) for developers to include affordable housing in new construction. What does this mean for East Harlem, a neighborhood whose affordable housing stock is dwindling as gentrification, particularly in the form of newly-constructed luxury housing, raises the overall market value of apartments. According to a 2012 report issued by Manhattan Community Board 11, which represents the neighborhood, most East Harlem residents live in some form of rent-regulated housing. East Harlem has one of the highest concentrations of public housing in the city and much of the remaining housing stock has been rent-regulated. However, as the report suggests, the expiration of government subsidies will likely price current residents out of their homes. A third of rent regulations will progressively expire by 2040. City-wide, rents have gone up nearly 40 percent in the last 20 years, while renters’ wages have risen less than 15 percent. Nearly a third of the city’s households who rent pay more than 50 percent of their income in rent and utilities. 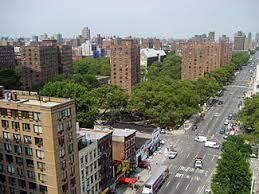 According to the 2012 U.S. Census, the median income of East Harlem households is $31,444. Currently, despite incentives such as tax breaks for new construction and financial assistance to property owners to keep their buildings from turning market-rate, more rent-regulated apartments are lost to deregulation than new ones are built (source). The strategies proposed in the 2012 Community Board 11 report may dovetail with the Mayor’s proposed plan. The Community Board 11 report recommends coordinating efforts to maintain the supply of rent-regulated housing, and working with building owners to promote continued participation in programs that will preserve affordable housing. If successful, de Blasio’s plan will preserve the current supply of affordable housing and both regulate and incentivize the creation of new stock. However, how the plan will be funded and implemented remain to be seen and it’s a question of how much affordable housing will be left to preserve in East Harlem and how many opportunities there will be to intervene in new development by that point. The mayor’s report highlights El Barrio’s Artspace P.S. 109, which is an affordable housing project for artists, as an example of adapting existing structures into housing. This project was developed by Minneapolis-based developer Artspace with grant funding from the Warhol Foundation for the Arts. While this unique project may not be able to be replicated at a scale that meets the community’s overall needs, it is a start. Reclaiming property for housing and building on vacant lots is what activist organization Picture the Homeless has been vying for. Working with the Hunter College Center for Community Planning and Development, the group identified enough abandoned and unoccupied space in the city to house all of the homeless, outlined in this 2012 report. In their study of city housing data, they found a total of 143 vacant buildings and lots in East Harlem that could house 9,252 people. Perhaps implicitly acknowledging the organization’s exhaustive work, the mayor’s report calls for conducting a comprehensive survey of all the vacant sites in the city, potentially corroborating their data and analysis. Overall, the plan has the potential to address at least some of the community’s urgent housing needs and ideally help shape a healthier community development over the usual displacement-through-gentrification. 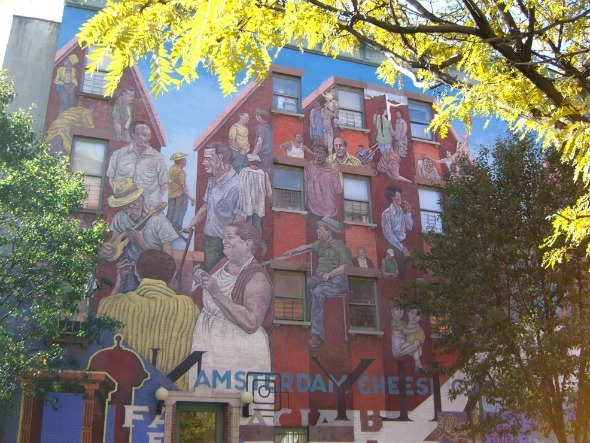 This entry was posted in East Harlem, Topic Series and tagged affordable housing, East Harlem, gentrification, housing on May 8, 2014 by Collette Sosnowy. 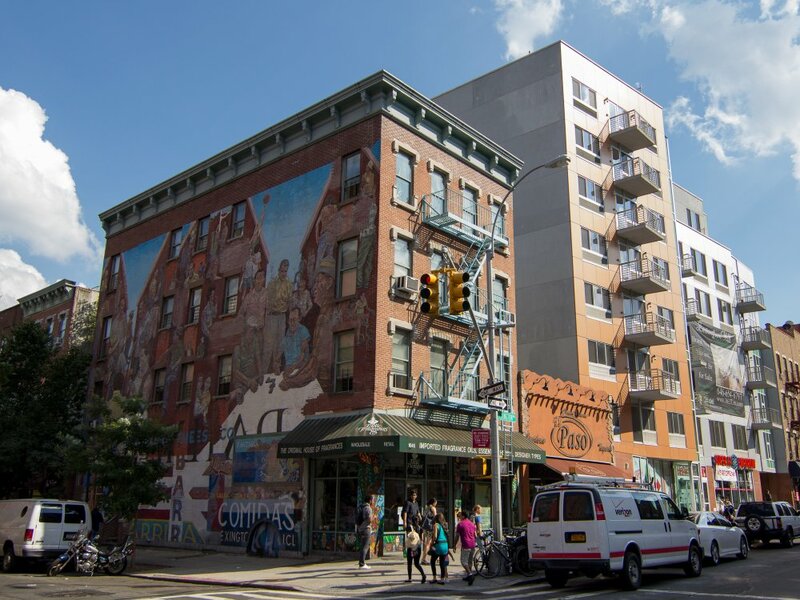 As gentrification rolls across New York City like a tsunami, residents of lower-income neighborhoods like East Harlem are both concerned and conflicted about the changes occurring around them. This “Latino core” has one of the highest concentrations of public housing in the country. According to educator-scholar-activist Edwin Mayorga, approximately 31% of East Harlem residents in poverty, 45% are children and of those, 55% are Latino. While East Harlem has already begun to experience these changes, there is a strong network of community groups, cultural institutions, tenants’ rights organizations, and other activists working to advocate for the neighborhood. Furthermore, with gentrification impacting so many communities across the city, the issue is gaining the attention of the general population and policymakers. With a history of activism and an identity as a strong Latino community, many in East Harlem are actively resisting the pressures of gentrification. As the community response to recent tragic explosion and building collapse demonstrated, this neighborhood is a cohesive and engaged community that stands a chance to resist some of the destabilizing changes that accompany gentrification. This entry was posted in Documentary, East Harlem, Gentrification, Topic Series and tagged documentary, East Harlem, gentrification on May 1, 2014 by Collette Sosnowy. Emergency responders are dedicated to doing work they don’t want people to know about, as one participant remarked during the recent East Harlem community conversation, held last Saturday at the CUNY School of Public Health. This community conversation about the recent East Harlem explosion and building collapse brought together residents, community groups and scholars to discuss the emergency response to the event, and how the community could be better prepared to respond to future disasters. Participants met in lively groups to discuss the response following the explosion as well as brainstorm strategies for developing and supporting community preparedness. They identified the need to develop quick and reliable communication channels, including social media (we especially like that one), and to be able to coordinate a local response rather than relying solely on the city’s emergency response system. As Héctor Cordero-Guzmán, an East Harlem resident and professor at Baruch College School of Public Affairs, said during the wrap-up, “East Harlem prides itself on being a community that knocks on each others’ door and checks in.” It is clear from the passion participants showed for their community and supporting their neighbors that there is strong potential for carrying this work forward. JustPublics@365 was there to collect stories of the people who were affected by the explosion. East Harlem resident Louise Burwell sat down with us to talk about her reactions to the disaster, public perception of East Harlem, and the community’s commitment to their neighborhood. The event was co-sponsored by the CUNY School of Public Health, the Silberman School of Social Work, the East Harlem Emergency Preparedness Collective, New York City OEM Community Emergency Response Team (CERT), Community Board Eleven of Manhattan, the School of Public Affairs at Baruch College, and JustPublics@365. This entry was posted in Activism, East Harlem, Events and tagged community, East Harlem on April 29, 2014 by Collette Sosnowy. East Harlem is a neighborhood where the need for affordable housing is high, yet the availability of such housing is shrinking. The March 12 gas explosion destroyed homes on the site and damaged several nearby. What will replace them? 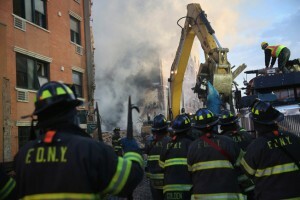 The incident also highlighted the aging infrastructure of this part of the city. Will the government use public resources necessary to repair basic infrastructure, or will these be ignored until private renovations or redevelopments take them on? In this exciting panel in about housing in East Harlem (from 2013), activists and scholars ask: what is the future of public housing? Why has “public housing” become criminalized? And, who has a right to housing? This event was featured in our Participatory Open Online Course (POOC) “Reassessing Inequality and Reimagining the 21st Century: East Harlem Focus,” which took place in the Winter 2013 semester. All of the course content is archived here. This entry was posted in East Harlem, Topic Series and tagged affordable housing, gentrification on April 24, 2014 by Collette Sosnowy.